Last year I created a list of 31 of my favorite Christmas/Winter themed movies for the month of December – and I have to be honest, my favorites still reside on that original list. I mean, with classics like White Christmas and It’s A Wonderful Life on there, can you really blame me? But I am a sucker for just about any holiday movie ever and I’ll watch whatever I can get my hands on, so this year I have 18 more movies for you to add to your repertoire of films that help create the festive spirit this time of year. But before we get to this list, I have a quick question – as I was compiling this year’s list and looking over last year’s I noticed something pretty glaring: I have no movies on either list that feature any holiday other than Christmas! What the heck! This seriously needs to be remedied. But unfortunately I can’t think of any good non-Christmas themed holiday movies, or movies that center around the traditions celebrated in other cultures. Do you have any good movie suggestions that might fit the bill?? If so, please leave the titles in the comments, because I would really love to be able to feature some great films that might be less well known to myself and my readers, and create a more well-rounded list next year! A side note for your convenience: Below you’ll find a list of 18 movies – some items are appropriate for children, and some are definitely not! Films with asterisks by their titles can be found on family-friendly channels such as The Disney Channel, ABC Family, The Hallmark Channel etc. And be sure to check out last year’s list! What are some of your favorite movies to watch this time of year? Did I miss any of them? 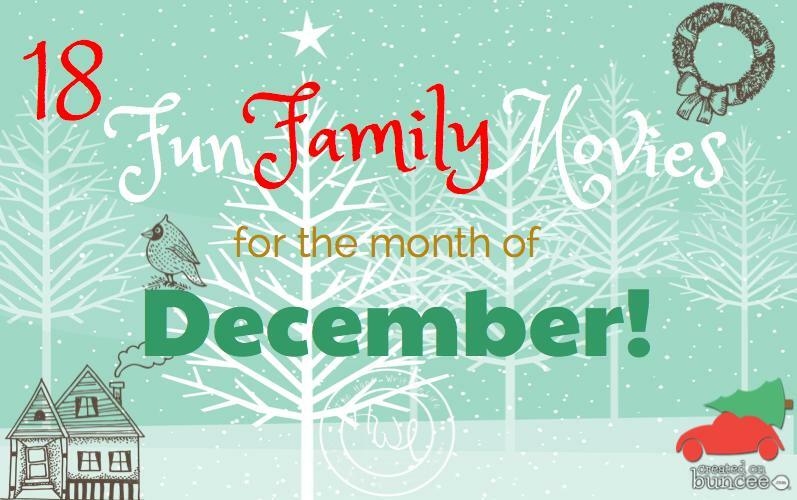 Do you have any good suggestions for movies centered around holidays other than Christmas? OR – you can visit Andrea Kelly at The Hand-Written Life on IMDB to find all of the titles from each of my movie recommendations lists! (There are only a couple of lists up at the moment but I’ll be adding more as I get the time). Buy, Rent, or Stream any of the movies on this list today, on Amazon! You can never go wrong with Charlie Brown and The Grinch. Classics I watch every year with my kids :) I also like Family Man and The Holiday. Pretty cool, but I must also include The Griswalds can’t have Christmas without Chevy Chase. And did you finally see a Christmas Story? I never miss it. But I also never miss watching Costanza celebrate Festivus on Seinfeld. Ha! It cracks me up :) But that’s TV.